Dapitan will always and forever be linked to Philippine national hero, Dr. Jose Rizal. This is the place where he lived when he was on exile which is why it’s quite hard to shake away that connection when talking about Dapitan. However, there’s much more to Dapitan than just being the place of exile of Rizal. 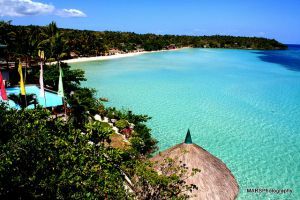 This city in the province of Zamboanga del Norte offers much more than history to anyone who wants to visit. July 17, 1892 will always be a memorable date in the history of Dapitan. This was the day when Jose Rizal landed in the city to start his life in exile. The Punto del Desembarco is a shrine that was created to commemorate this event. It lies on Dapitan Bay along Sunset Boulevard. Rizal won PHP 6,200 in a lottery and he used this money to purchase a 16-hectare estate in Dapitan. Although just a part of the house Rizal lived in remains, everything else has been reconstructed to look as it once has. 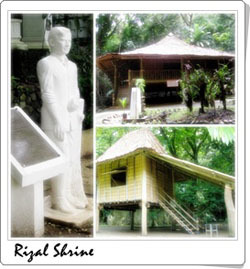 The shrine also houses a museum that displays everything related to Rizal, including his books, poems, clothes and other memorabilia. If you want to unwind while in Dapitan, there’s no place better than Dakak. It is a secluded getaway that started operating in 1988. It is conveniently situated with mountains on its west side. The Saint James Cathedral was built in 1871 in honor of St James the Greater, who is the patron saint of Dapitan. The cathedral is also the tallest structure in the Dapitan Plaza. There is also a National Historical Institute marker that identifies the spot where Rizal supposedly stood during mass. There’s still a lot of speculation as to why he chose to stand outside the church rather than stay inside. 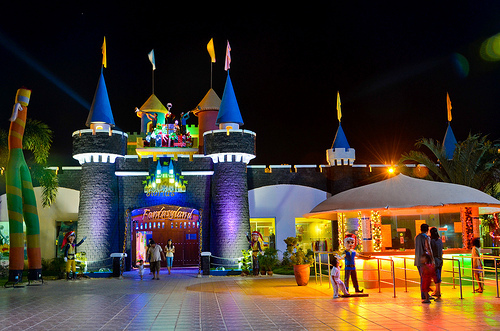 This is the only theme park in the Visayas and Mindanao region. At Gloria’s Fantasyland, you can expect thrilling rides that will surely delight a lot of adrenaline-loving visitors. Some examples of the rides include the rollercoaster, skydrop tower and the python coaster. 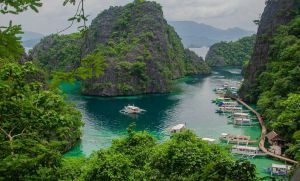 International tourists who want to visit Dapitan can take a flight to the neighboring city of Dipolog from Manila or Cebu. From Dipolog, you can take a jeep or van to get to Dapitan which will take around 30 minutes. Philippine Airlines and Cebu Pacific are the two major airlines that fly to Dipolog Airport. Philippine Airlines has daily flights from Manila to Dipolog. The direct service from Manila to the port of Pulauan in Dipolog has been discontinued due to infrastructure development at the port. However, there are other ways to still travel by sea. You can take a boat from Manila to Ozamiz then take a land trip from Ozamiz to Dapitan which will take three hours. Read up on the city before your trip. You will get a whole lot of appreciation for Dapitan – or any town you visit for that matter – when you learn little things about it. The internet is full of information and you can also go on forums and social media to know more. Participate in the Kinabayo Festival. This happens around July 16 and ends on July 31, During this event, there will be different amusements that occur throughout the day. It’s a mysterious and colorful pageant that re-enacts the Spanish-Moorish Wars, particularly the Battle of Covadonga. Whether you like history or nature, Dapitan has a fair share of attractions to keep you busy. So, come and visit to see its beauty with your own eyes.